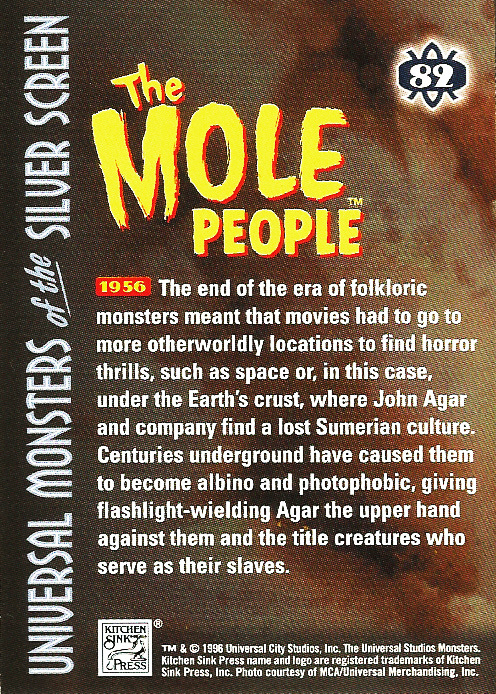 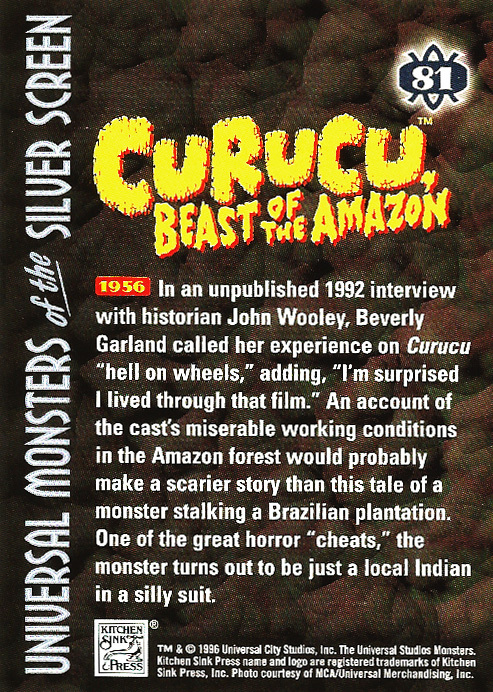 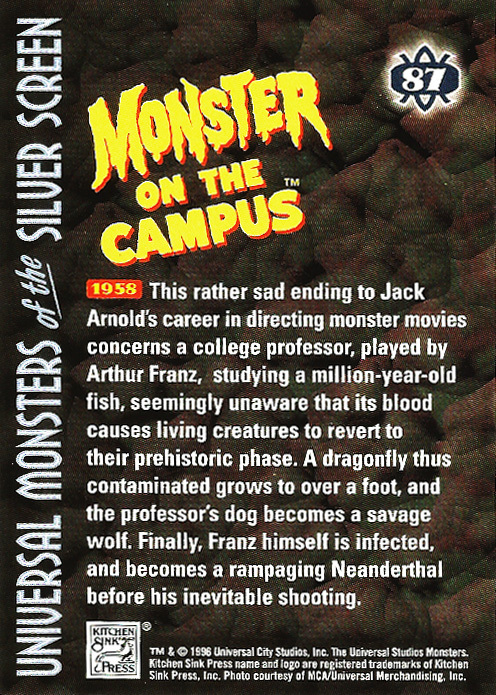 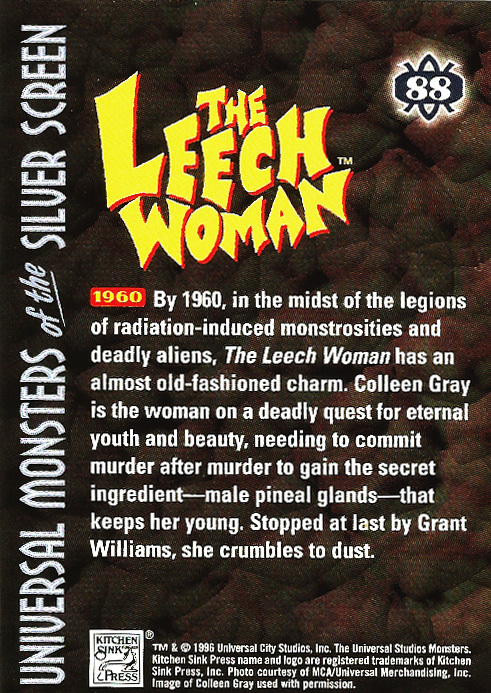 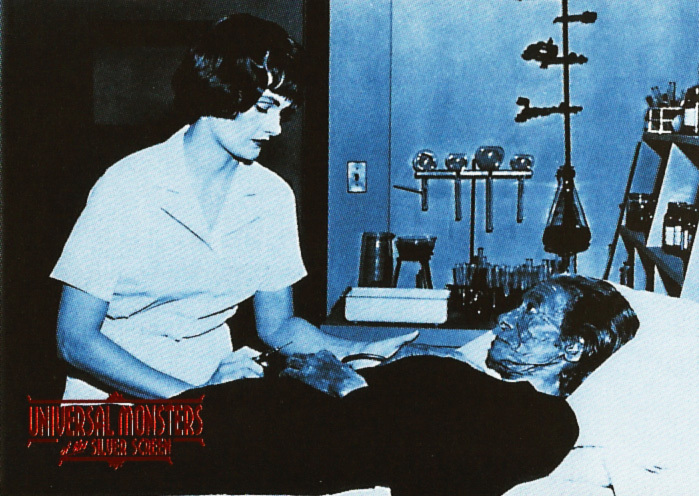 Universal Monsters of the Silver Screen Trading Cards, #76–90 (1996) | 'TAIN'T THE MEAT… IT'S THE HUMANITY! 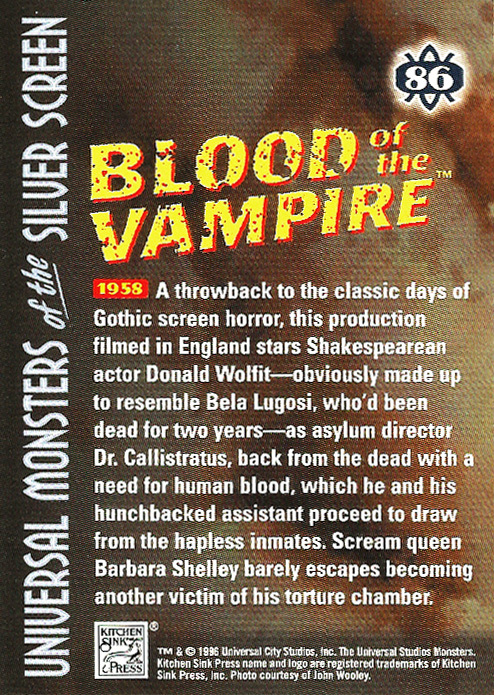 Here is the last batch of base cards (#76-90) from Kitchen Sink Press’ Universal Monsters of the Silver Screen Trading Cards, released in 1996. 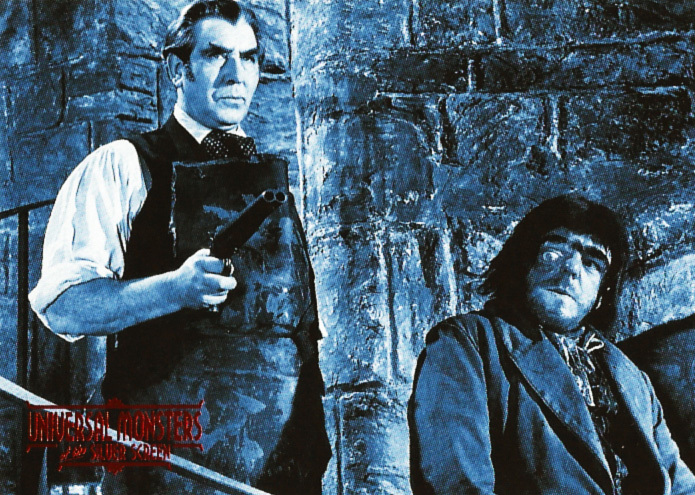 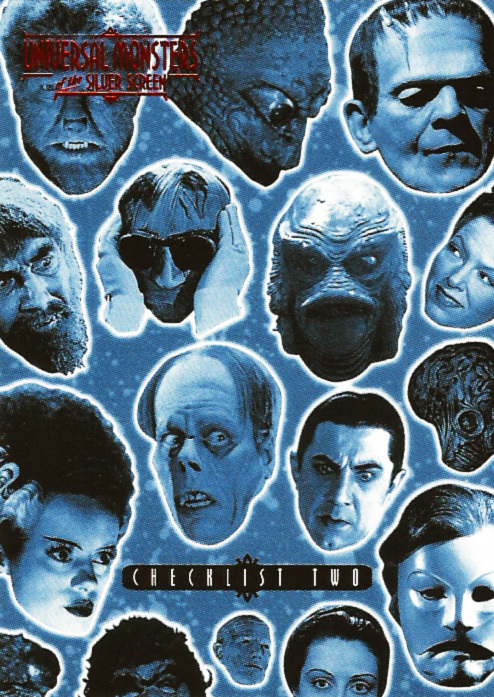 This set of trading cards consisted of 90 blue-tinted base cards featuring famous Universal Studio monsters, along with 10 full-colour lobby poster stickers (see above), 12 chromium chase cards (available in 1:9 packs) and one ultra-rare card (1:432). 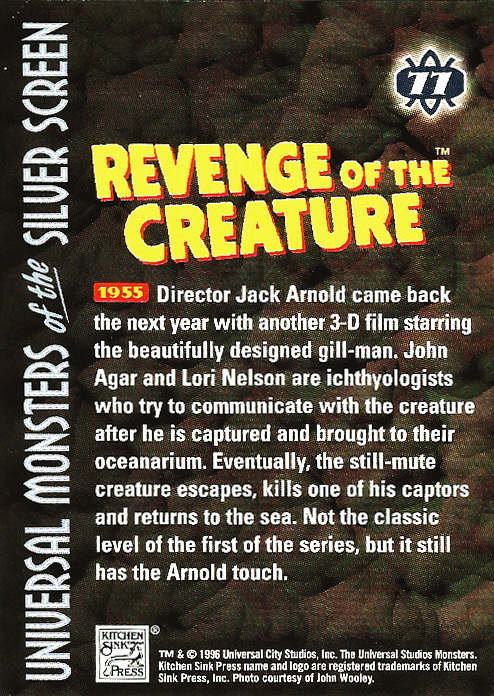 Each individual foil pack shipped with eight cards and one lobby sticker, all measuring 2.5 x 3.5. 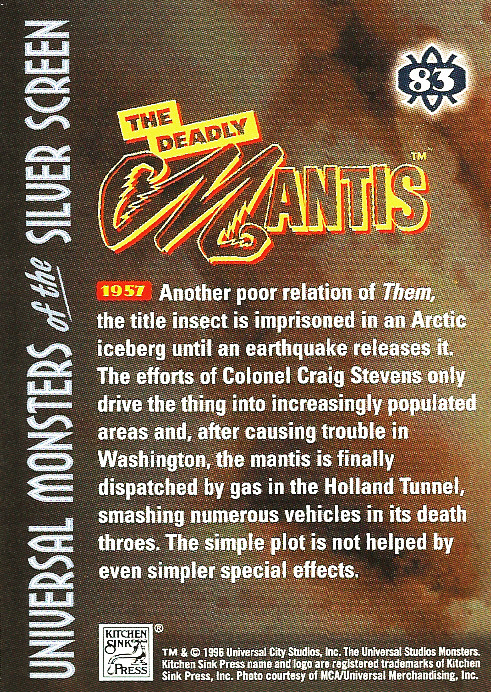 The 90 base cards had red foil stamping on the picture side and all the cards featured a short caption on their reverse. 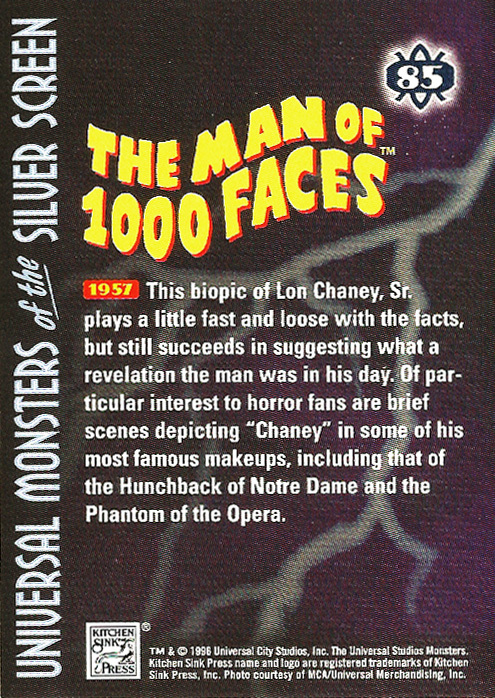 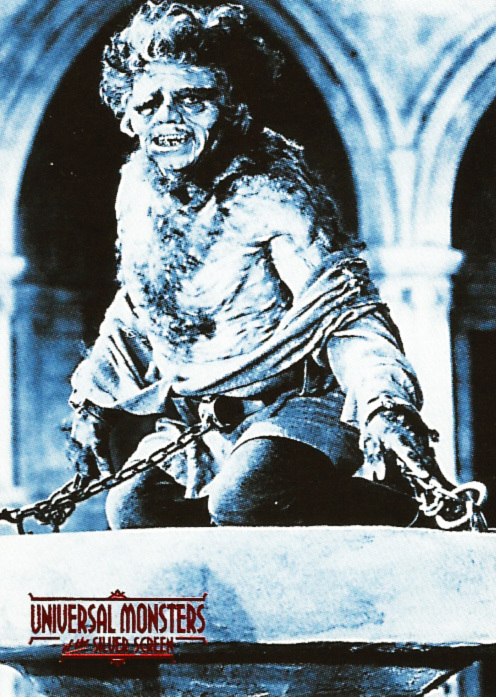 The packs shipped in a distinctive red box featuring Lon Chaney’s classic interpretation of the Phantom of the Opera. 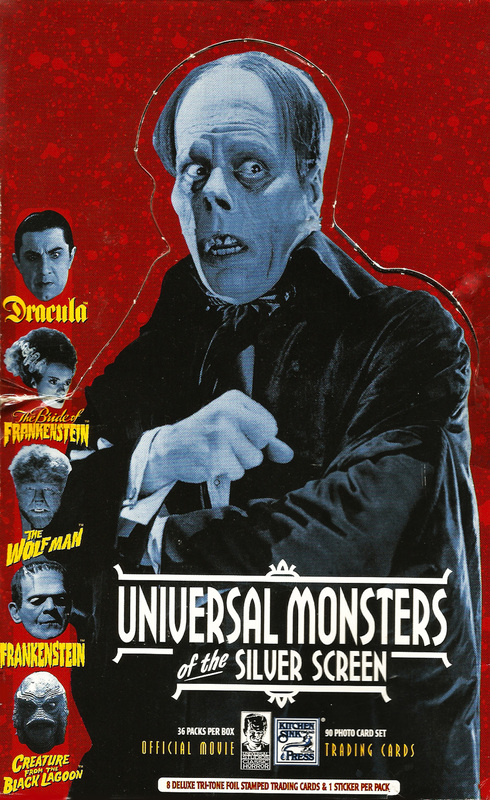 The 15 cards in this selection cover Universal Studio’s horror and science-fiction movie output from 1955 to 1960, a period when atomic-bomb mutated monsters ruled the cinema. 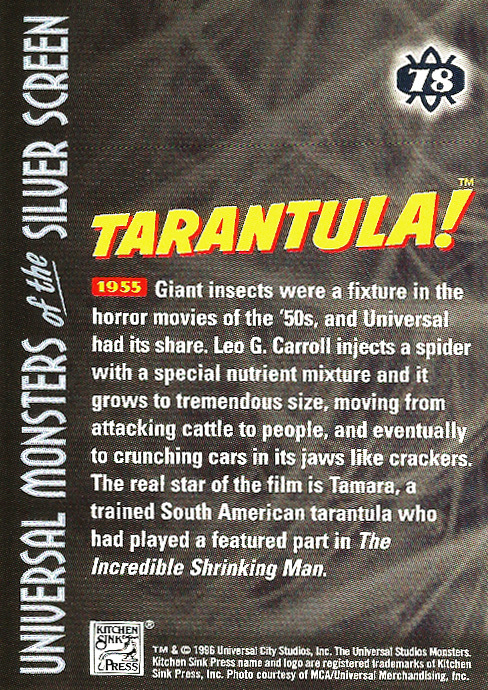 Both Tarantula! 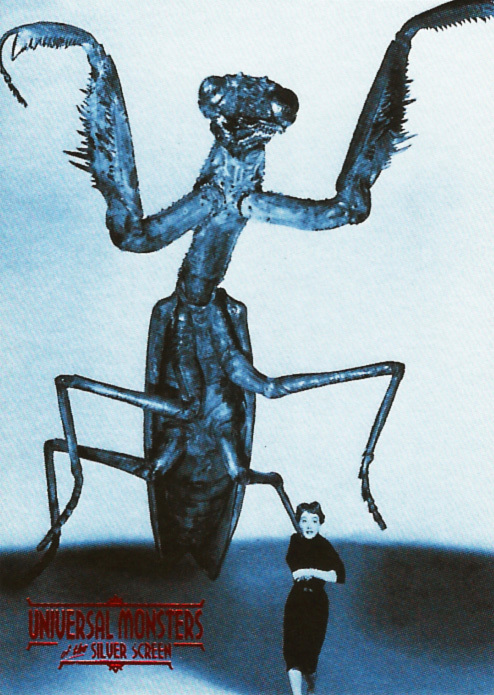 (1955) and The Deadly Mantis (1957) featured giant monster insects and were clearly inspired by Warner Bros’ giant ant feature Them! 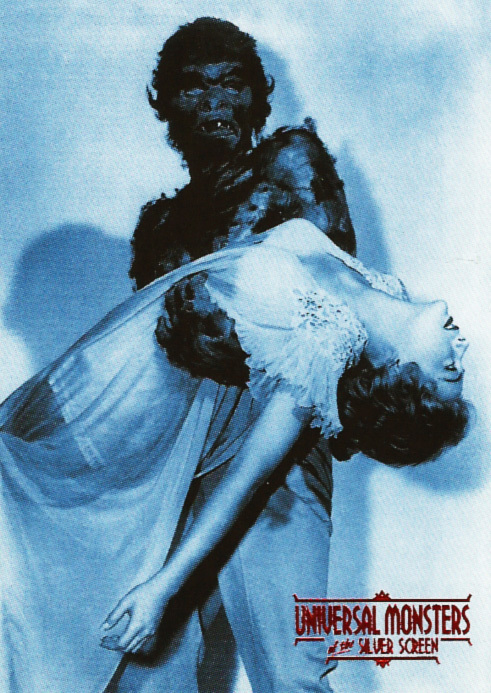 from 1954. 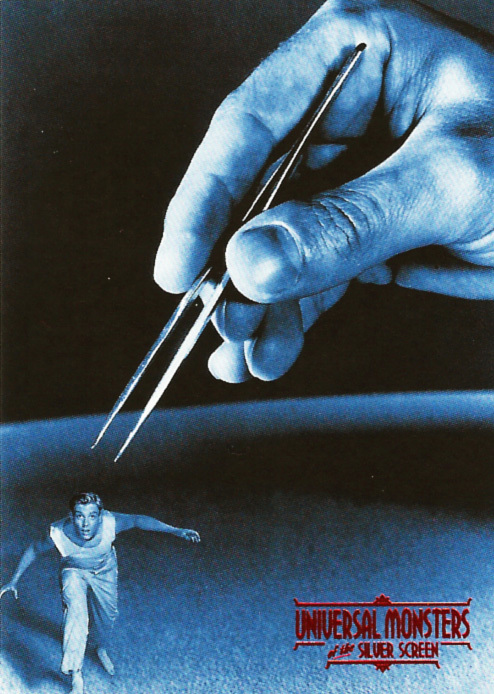 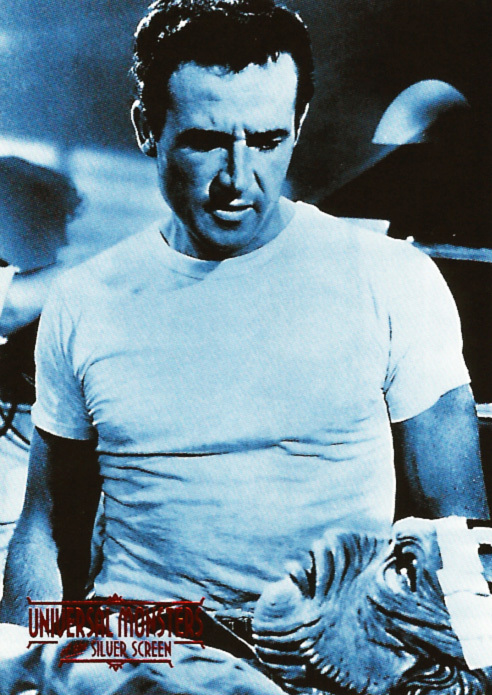 But amongst such drive-in fodder as The Mole People (1956), Monster on the Campus (1958) and The Leech Woman (1960) there is one undeniable gem, The Incredible Shrinking Man (1957). 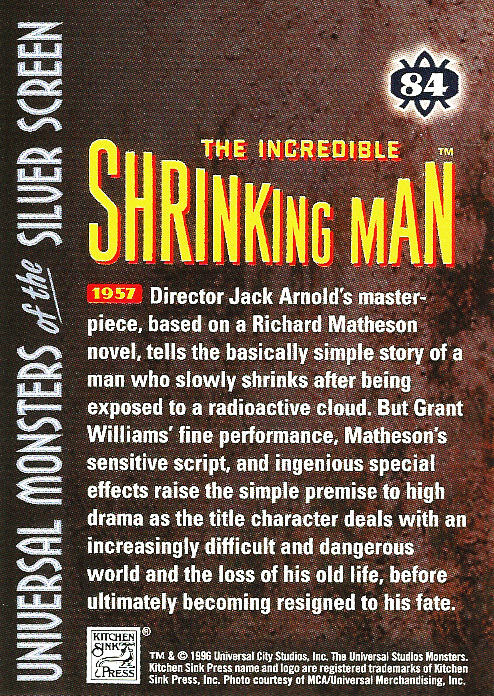 The film, a physiological tale of survival and self-reliance written by Richard Matheson and directed by Jack Arnold, has easily stood the test of time. 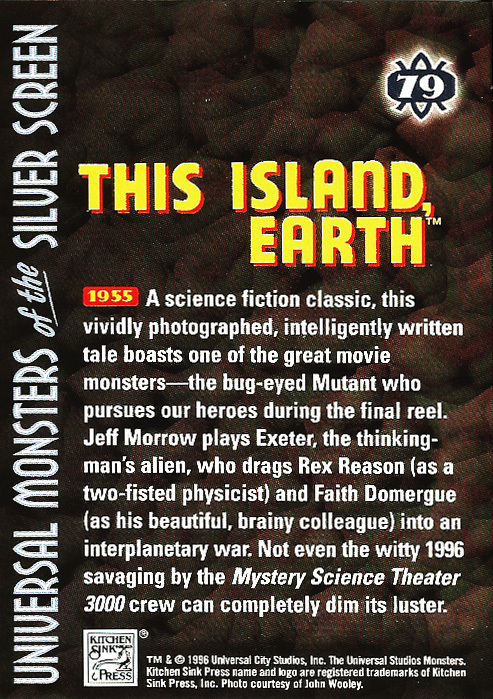 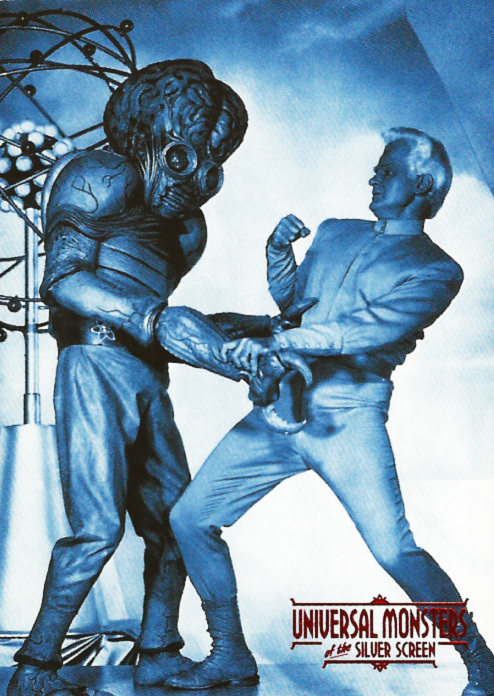 And there’s classic b-movie sci-fi thrills in This Island Earth (1955), which featured the distinctive Metaluna mutant, a monster that scared the hell out of me when I first saw it as a kid. 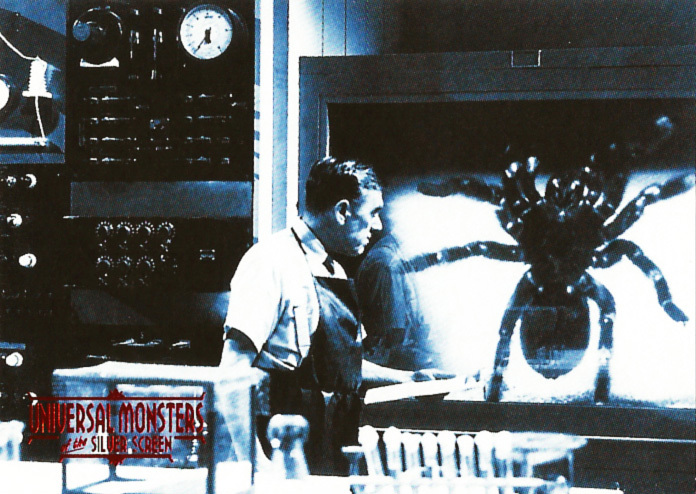 (It scared me so much that I failed to notice the monster was wearing slacks). 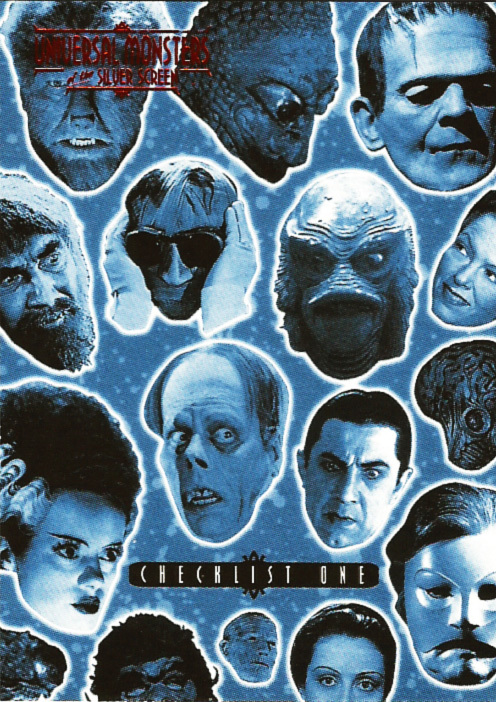 The remaining films in this batch are pretty forgettable. 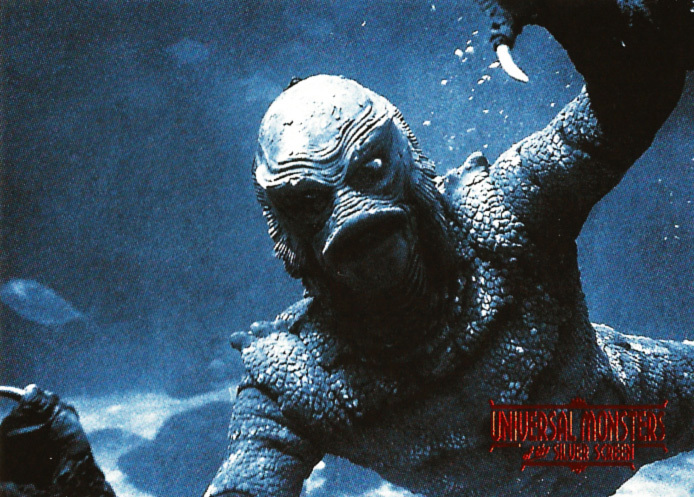 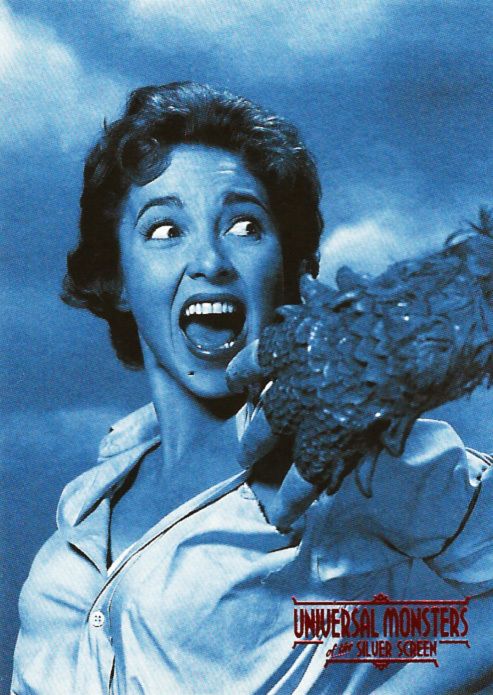 There were two more sequels to Universal’s Creature from the Black Lagoon series – Revenge of The Creature (1955) and The Creature Walks Among Us (1956) – while Curucu, Beast of The Amazon (1956) is remembered now more for its distinctive publicity shot of Beverley Garland than for the movie itself. 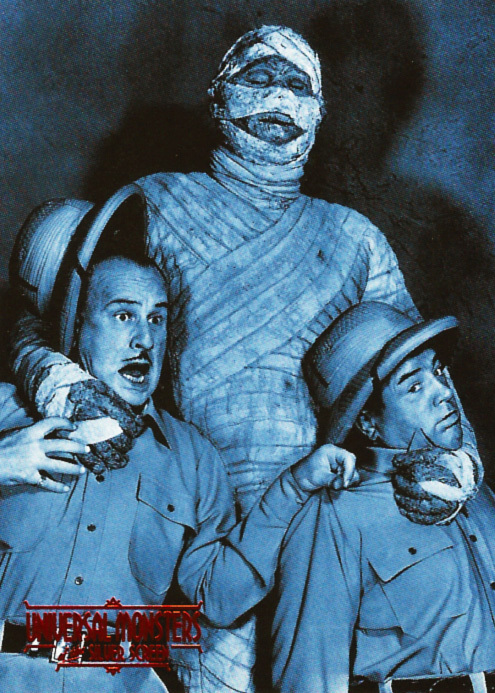 And comedy duo Abbot and Costello made one more horror-comedy before throwing in the towel, Abbott and Costello meet The Mummy (1955). 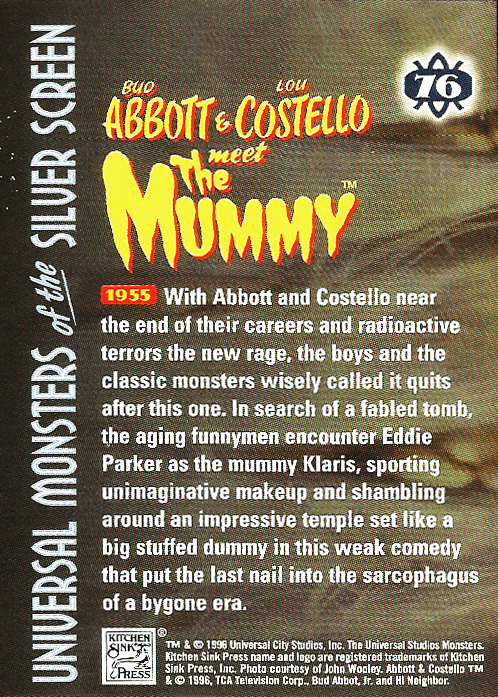 Not before time too as the series was well past it’s sell-by date. 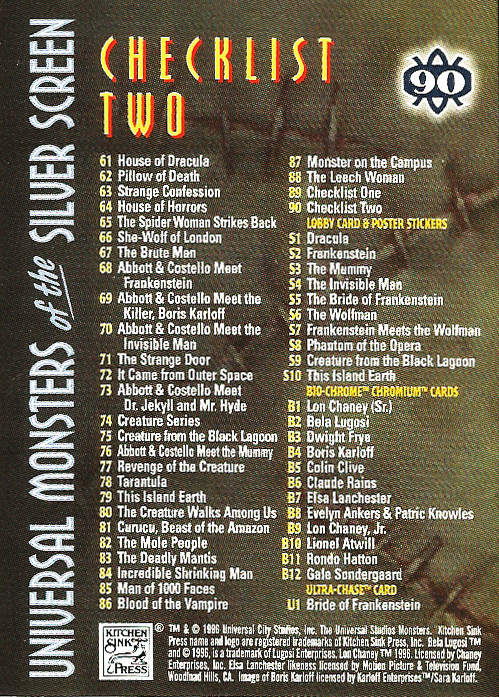 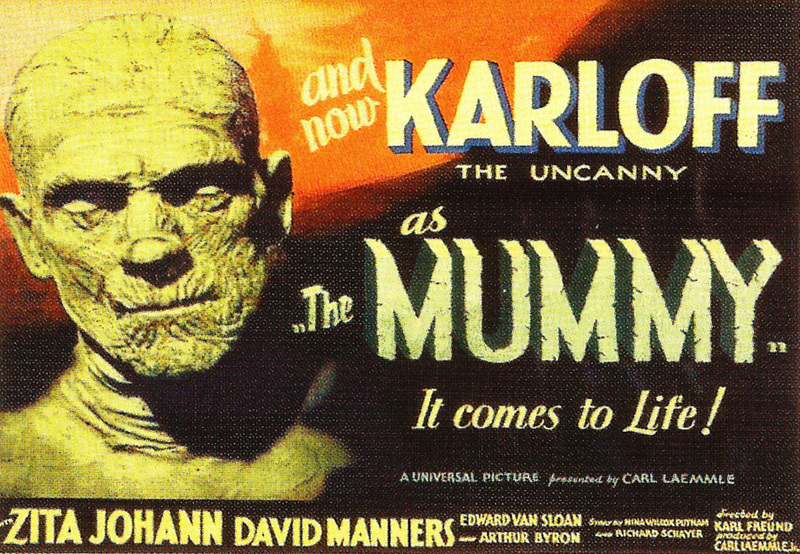 So here are cards #76–90 from Universal Monsters of the Silver Screen Trading Cards, both front and back. 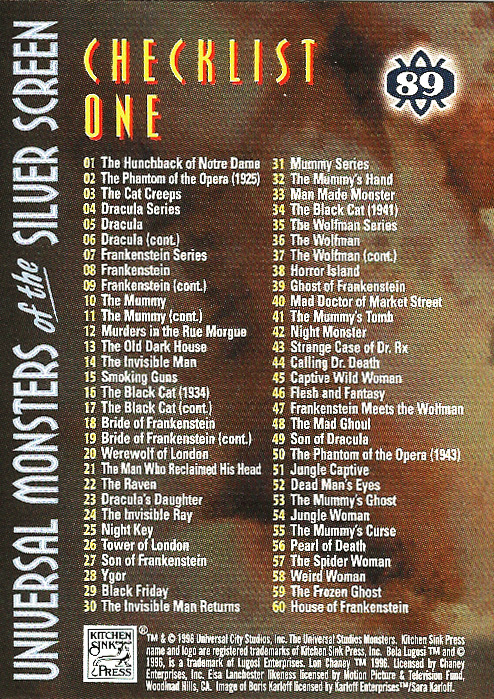 Cards #1–15 are here, #16-30 are here, #31-45 are here, #46-60 are here and cards #61-75 are here. 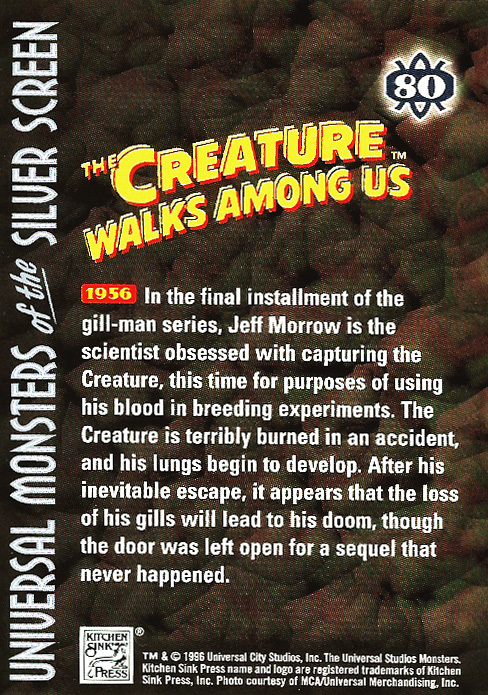 All that’s left now are the lobby poster stickers and chromium cards, which I’ll post up in the next day or so.